A little piece of history was made this week. 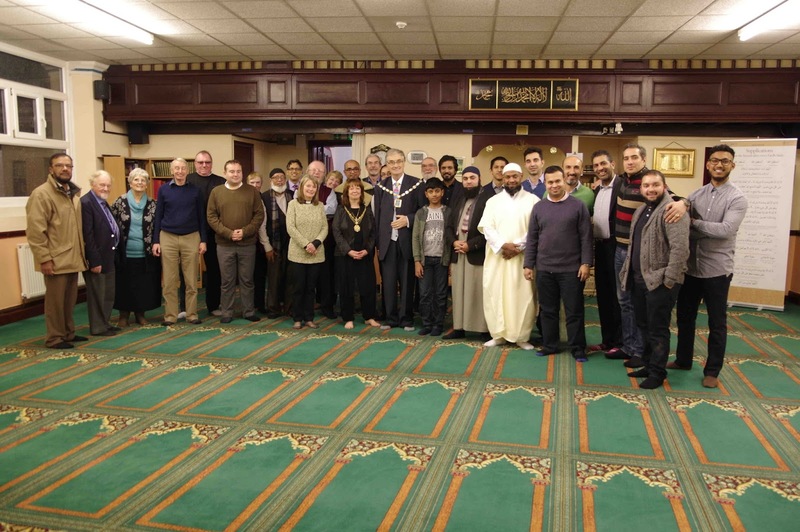 I became the first Mayor to make an official visit to Southport Mosque. The event was jointly organised by the Iman Soyful Alam and Vicar of Holy Trinity Rod Garner. Members of both faith groups sat down together to share an excellent meal prepared by Mosque. 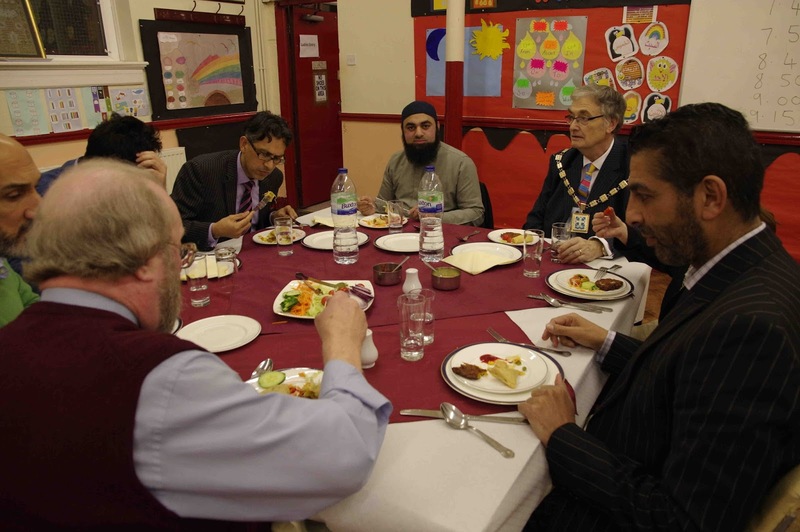 The meal was the first joint event and built on visits that have been taking place between the two groups for some time. Everyone was made very welcome and over the meal we all had the opportunity to get to know more about the activities of one another. The one thing that shone out was how much we all had in common. 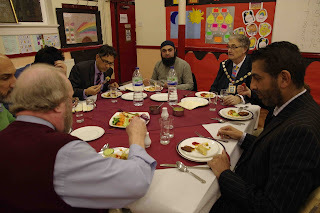 The joint meal raised over £400 for a local charity selected by the Mayor.I explained my choice. I have been involved with mental health work for a long time. Recently someone I had known for almost thirty years committed suicide and it has had a great impact on me and my work colleagues. 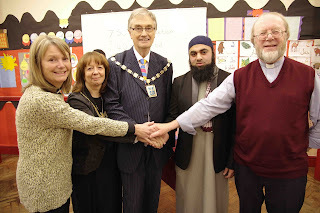 I nominated Southport Samaritans to receive the donations from the meal. In a world where some people are determined to ferment hatred, fear, and division this meal was a hopeful demonstration that there is a better way. Instead of erecting walls and barriers we should get to know each better and recognise our common humanity. The death of the MP Jo Cox is a terrible demonstration of the consequences when hate not hope wins the day. During the event, several people spoke to us. We all have so much to learn from each other. 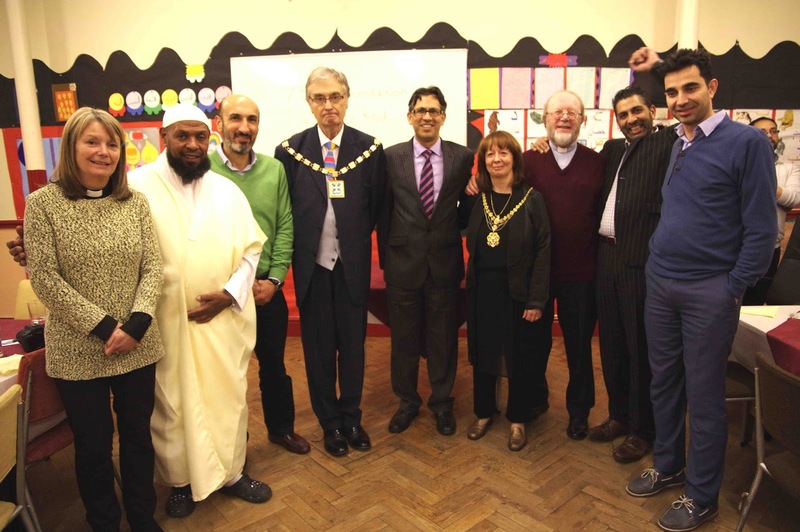 As I have gone about my work as Mayor it is clear to me that faith groups make a major contribution to the wellbeing of our communities. Mosques play their full part in that work. I know from my time as a school governor that there is a lot of contact between schools and our local Mosque and how positive that partnership has proved to be. The world can seem to be a frightening place but I am convinced that simple acts like sharing a meal, sitting down together and getting to know people as individuals can help to remove misplaced suspicions. 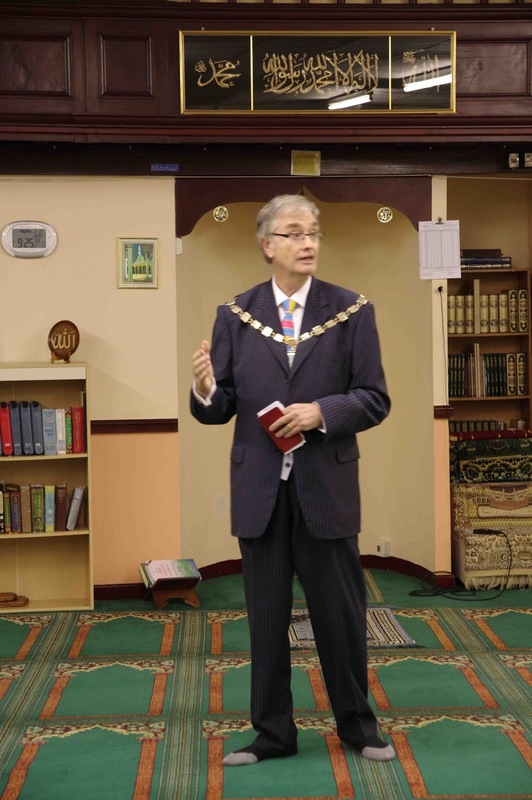 One of the speaker from the Mosque on Monday night finished his contribution by quoting from Tom Paine who came from a Quaker family: ‘all mankind are my brethren, and to do good is my religion’. I want to thank Soyful and Rod for their invitation. 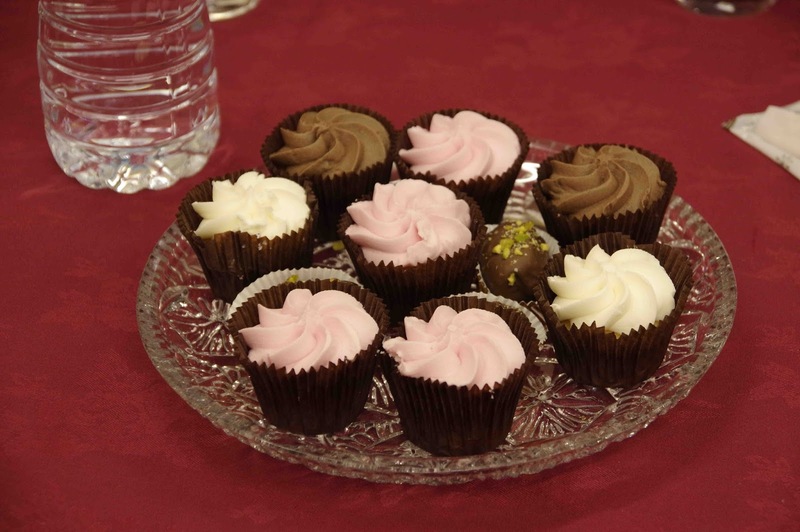 It was an excellent evening and Soyful’s parting words to us were ‘the door is now open’. I think for many of us our only regret is that we should all have met up sooner.